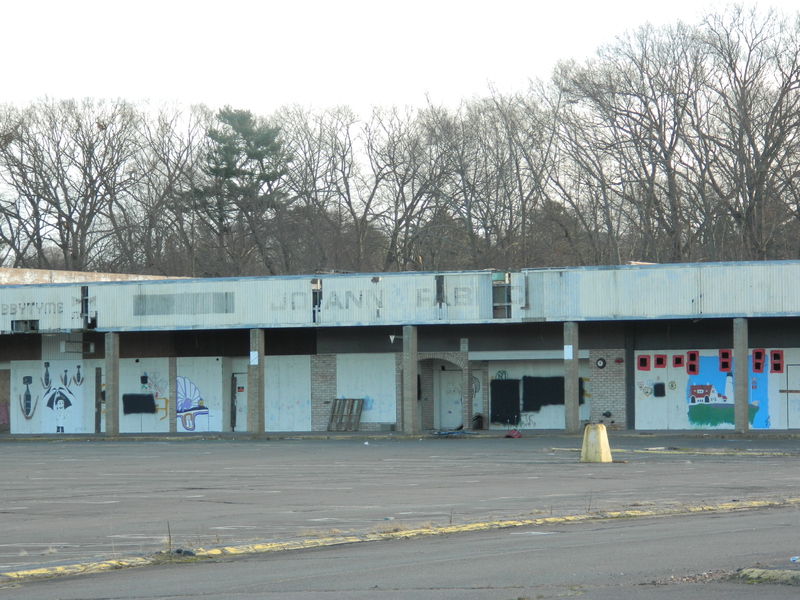 The New Year will bring a much anticipated landscape improvement in Manchester, Connecticut where the blighted Manchester Parkade on Broad Street is slated for demolition. The outdoor shopping plaza was purchased by the town for about $1.85 million, taken from an $8 million bond approved by voters in a 2009 referendum to renovate the Broad Street commercial area. Plans include the widening of Broad Street, a busy connector between West Middle Turnpike and Center Street. A thriving shopping center at one time, the plaza was even host to a popular nightspot- David’s. Business dropped off subsequent to the departure of an anchor store, the Stop & Shop supermarket which relocated to a new, larger space not far away, in the West Middle Turnpike shopping section. 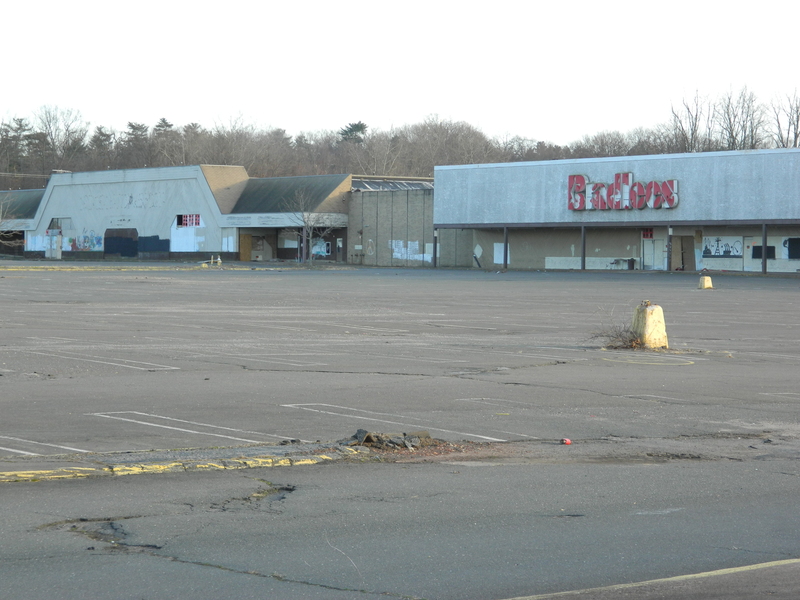 A few years prior to the departure of Stop & Shop, a bowling alley located across the street was torn down. After Bradlee’s department store went out of business, gradually store after store moved from the Broad Street plaza or closed. All that remains are dilapidated graffiti covered structures. Environmental clean-up has been underway at the site as part of remediation to remove hazardous materials, asbestos. Federal approval will be sought to remove polychlorinated biphenyls or PCBs, though the latter was reportedly not found in the former supermarket. 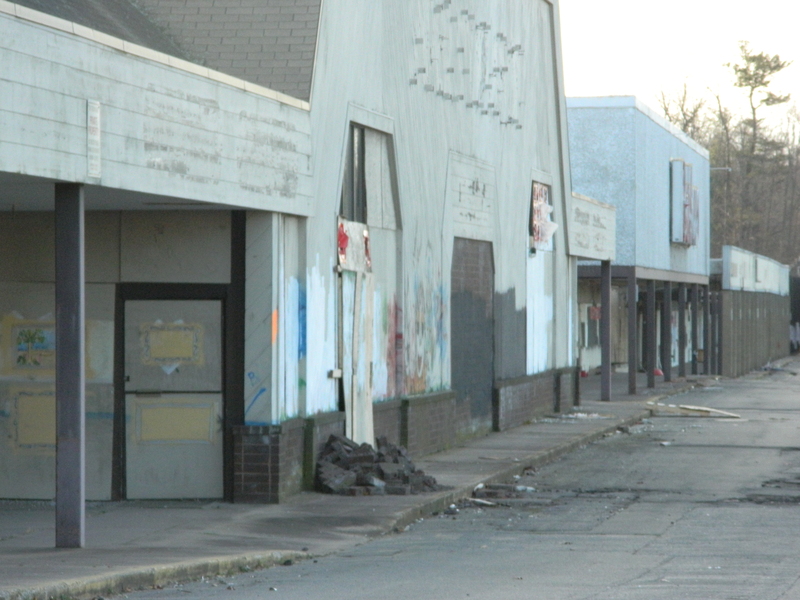 The town recently selected the low-bidder, a Massachusetts company, for demolition which should begin by summer. 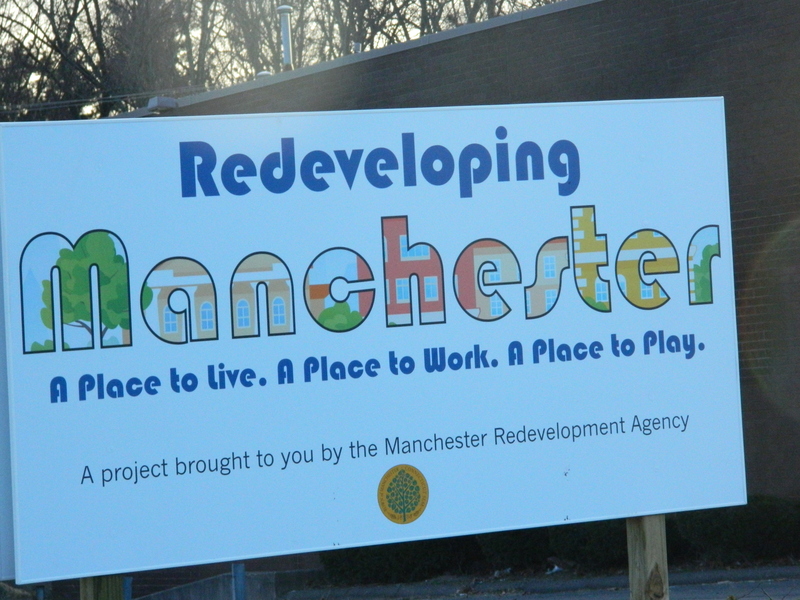 The Manchester Redevelopment Agency is handling the revitalization project.